You may have noticed something about us here at Radiant Photography…. … we have a lot of cousins! Lucky for us, we love them all dearly! And lucky for them too I guess because they get wedding photos out of the deal! This cousin is no exception to the cousinly love that floods Radiant. This is my (Breanna’s) cousin, Ashley. The funniest thing I can remember about the little girl version of Ashley was how scared she was of movies growing up. Not of scary movies, just of every movie. I, being the wise and older cousin I was, remember rolling my eyes when she cried at, no not the Exorcist, but Pinocchio, and I was forced to shut it off. Oh and don’t even MENTION the name E.T. to her to this day (Sorry Ashley, I hope you don’t have night terrors tonight because I mentioned the “E” word)! So Ashley, I’m sorry if I scarred you for life with my children’s “horror” movies, but I’d like to believe you’re now stronger for it thanks to me! …I do have lots of great ones that involve him playing with their two kids, Kenzie and Cayden. Though I’m sorry that I couldn’t post the best one from the wedding (of Tyler helping Cayden pee behind a tree), because it just seemed inappropriate somehow! Now I have some new favorite memories surrounding both Ashley and Tyler and those are from their wedding day. My favorite wedding day memory with Ashley is of her and her dad doing their father/daughter dance to the most ridiculously emotional song I’ve ever heard in my life. It was “You’re the Only Little Girl” by Steve and Annie Chapman. Apparently there’s a recording out there somewhere of Ashley singing this song to her dad (complete with costuming) on father’s day when she was 3. If I thought I was overly emotional about the song all by itself (it involves an actual little girl singing to her dad), hearing that story pushed me over the edge! Seriously, Listen to it, you’re going to die! Great, now I’m crying again! There are tons of sweet memories and moments that I’ll remember about Tyler on his wedding day, but this blog wouldn’t be complete without me mentioning the truly cool part of his many sentiments, and that is THE CAR! It was his grandfather’s car that he had shipped from Minnesota to Arizona the week of the wedding and then spent time fixing up to be displayed on the big day. (Here’s Tyler, his dad, and his brother, with his grandfather’s car). Those were just a couple of the many highlights to this day. …. 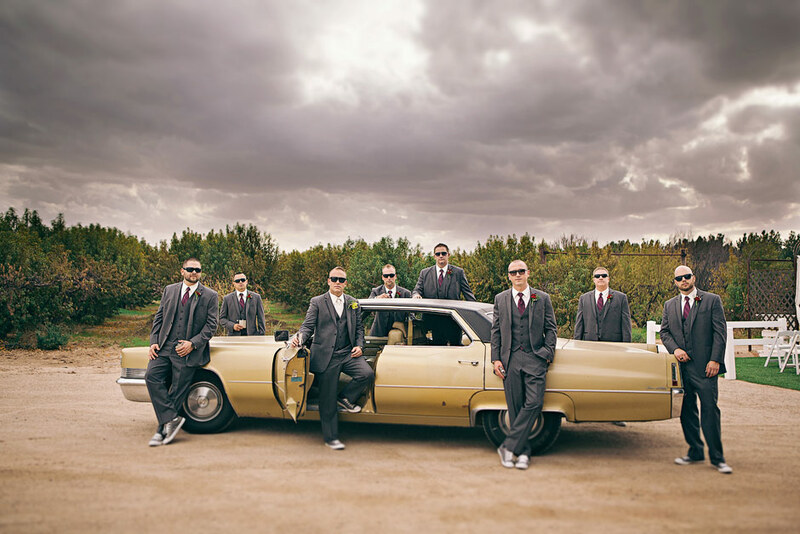 the stunning bridal party…. …. the adorable ring bearer and flower girl…. … and last but not least, there was the happy couple! Overall it was an amazing wedding with wonderful people that we love. Scottie and I couldn’t be happier for you, Ashley and Tyler. We hope the years to come are the best yet for you and we’re so happy we get to be a part of them! 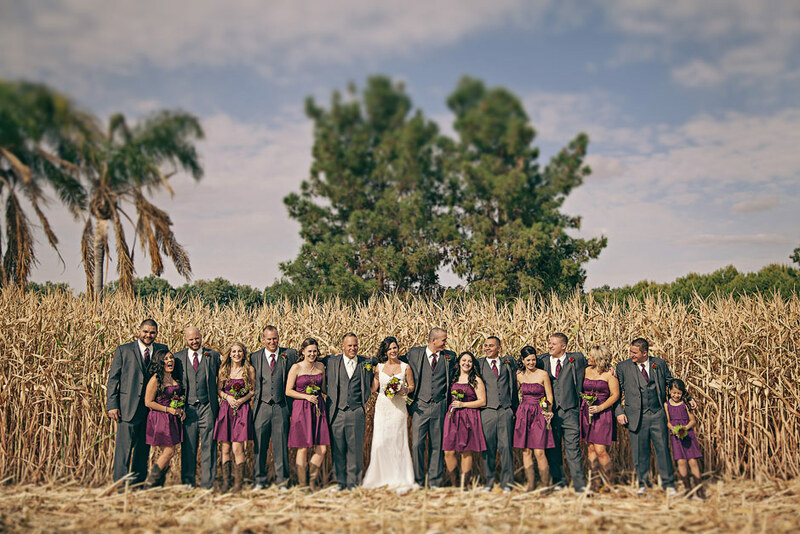 Click to see the rest of the photos from Ashley and Tyler’s Western Wedding. If you know Keri and Jason, you were not surprised that their wedding wasn’t what you’d call an “ordinary” wedding. Of course every wedding is unique, but Keri and Jason took unique to a whole new level. For starters, they had their wedding at The Ice House in Downtown Phoenix. The Ice House was, historically, exactly what it sounds like. It was the place were they kept ice (not an easy task in the desert back in the day!). Now it’s a gorgeous event venue, unlike any other in Arizona. 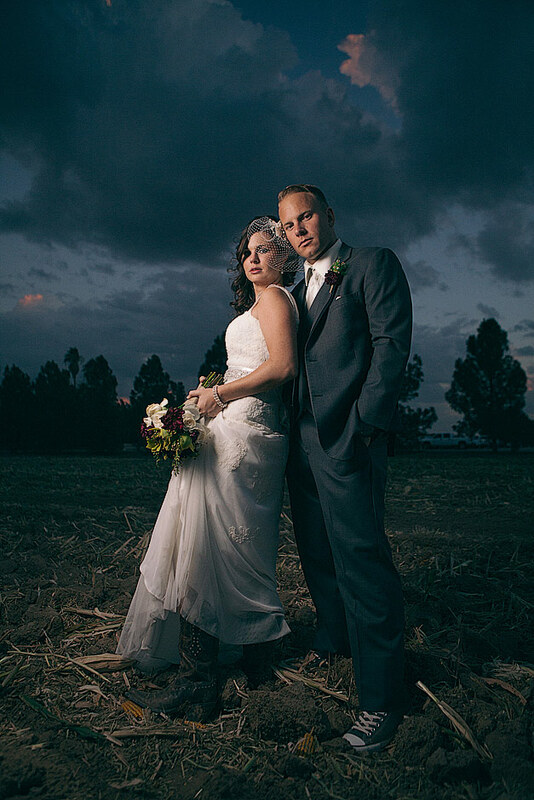 Which was the perfect spot for Keri and Jason… who are unlike any other bride and groom. They also got ready at Hotel Palomar which has another unique spot (one that Scottie and I LOVED taking pictures at) and that is the Blue Hound Kitchen and Cocktails. Now, you may be saying, “well that stuff is uber cool and all, but lots of weddings are uber cool, I don’t see why this one is SO unique as you say”. OK, that’s because I haven’t gotten to the things that REALLY set Keri and Jason apart from the rest. …they hired an actual comedian to be their officiant! They saw his set and loved his style so much that they asked him to do the honors at their wedding! What a great idea and awesome way to entertain their guests! The other thing that was unique about their wedding, is that Jason happens to be a very handy craftsman and was able to come up with this gorgeous creation to highlight their last name at the reception! SO impressive! And now for the most unique of unique things about their wedding. Drumroll please… they hired midgets to be servers at their cocktail hour! They also came into the grand entrance in place of the bride and groom! Of course the bride and groom DID come into their reception, just not the first time they were called! Apparently Keri loves little people, so she wanted to invite them to be a part of her wedding! Now that, is something I’ve never seen at any of the hundreds of weddings we’ve photographed! So way to go Keri and Jason for making your wedding fit you perfectly and reflect the fun and hilarious people you are! I love that you made your wedding your own and I hope you enjoyed every second of it! Click to see the rest of Keri and Jason’s “Uniquely Them” Wedding Photos.